Our six-year-old has been bugging us to put up the Christmas tree since Thanksgiving. There’s nothing wrong with this and I’m not complaining. I’m just stating a fact: he’s been bugging us about it. He’s six. That’s his job. 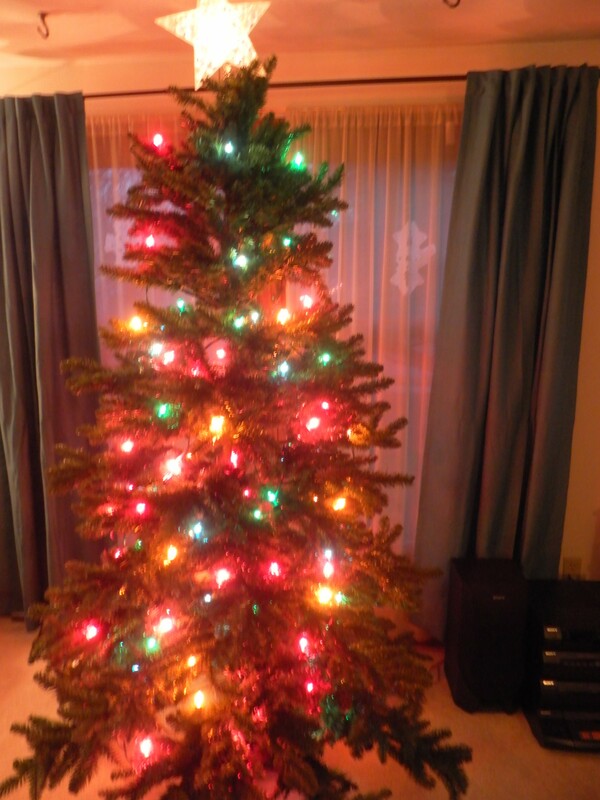 We’ve never put up our tree before December, though we have sometimes put it up early in December. But those were not years when we owned both a toddler and a baby. This year, the parents delayed as long as possible. Buster won’t be too bad with the tree. He’ll break a few glass bulbs and yank some garland just to get into the spirit of the season. Then he’ll focus his destructive energy on other household objects as the tree becomes commonplace. Any real damage will be accidental, as he runs sideways into the tree while juking to avoid the football tackle of his big brother. New Baby is a different story. He will eat the tree, one ornament at a time. It will become his seasonal commitment to consume any part of this giant Christmas cookie that can be reached from the crawling position. If he cannot reach a particularly juicy-looking berry, he will tug at branches with his Kung-Fu-Grip baby hands. He is a big, hungry baby, and his hunger feeds his ambition. These are Mommy’s reason for delay. Daddy shares them, and adds a reason of his own. Daddy’s reason is that he will be left to assemble the tree with only the quality of help that a six-year-old and a two-year-old, working in unholy alliance, can provide. Mommy is the superhero of holiday cheer. She tracks down the most obscure gifts; she braves freezing cold for Christmas parades; she travels far to show her boys Santa, or even one of his less-renowned, black-nosed reindeer. But there is one thing Mommy doesn’t do. Mommy doesn’t put up Christmas trees. 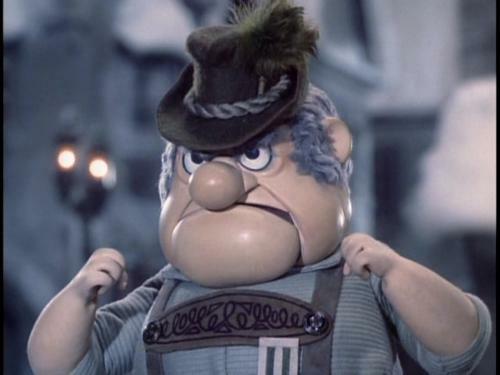 Apparently, in the village where Mommy was a child, the Burgermeister Meisterburger decreed the decorating of Christmas trees a crime worthy of horrible punishments, because, to this day, Mommy flees to her quiet place at the prospect of tree trimming. This leaves Daddy with his short stack of helpers. The moment they begin attempting to untangle strands of lights and free individual wire hooks from the grand hive of wire hooks, Daddy remembers who tangled the lights and packed the hooks into a wire nest at the end of last Christmas. This may remind him that, when it comes to tangling and untangling, little hands know only one direction. We finally got the tree up and the lights on it, but then we had to take a break from all of the helping that was going on. It’s hard for anyone to get into the Christmas spirit once Daddy starts yelling. We’ll take a breather, then give it another go. We should have it all up just in time to start taking it down. Our progress to date. Maybe we’ll have more time to work on it after Christmas. This entry was posted in Holiday Hijinks and tagged children, Christmas, Dads, decorating, family, fatherhood, holidays, humor, parenting, tree trimming. I have witnessed and experienced this “unholy alliance” and it has left its scars. And upturned Christmas trees in its wake. I applaud you for accepting and completing this mission, however impossible. I humbly accept you applause on behalf of myself and all the little people who have helped me along the way (both of them), in the hopes that it will inspire us to get some bulbs on that dang tree. I think I have let my husband off too easy. Decorating the tree has always been my responsibility, even when the kids were small. Not even sure how that happened, he just seem to disappear…. He must have been raised in the same cartoon village as my wife. It looks outstanding, Snoozer. Like a Dylan song. Tangled Up in Blue *and Green and Red and Yellow. You’re a prince of tree ornamentation, sir, you and your crew of en-lightenment. Thank you, sir. I was just happy to be able to take a picture before it gets knocked over by an out-of-control kid. We had a year when our 4-yr-old granddaughter and her accomplice, her 2-yr-old brother, pulled down the entire Christmas tree on Christmas Day. Got that sucker undecorated pretty fast, including the 20+ smashed-to-smithereens glass ornaments. That was fun. You’re right about the tree becoming commonplace. Our toddler redecorated as far as he could reach until it became old-hat, and now he just wants to know what sounds the ornaments make in real life. “Gammy, make icicle sounds.” Um. Yeah, okay. Well, I find that it’s always difficult to get motivated to take the tree down. I guess when it’s sprawled out across your living room, it makes it easier to find the energy to put everything away. And when the kids say Christmas is over, it must really be over. The Burgermeister Meisterburger reference killed me. That was one of my childhood favorite holiday shows. I bought a fake tree a few years back (right after Christmas) and it has been one of the greatest time savers in the history of my family. All I have to do is connect the three bits and then I can go back to watching football. Yeah, I put that reference in for all the old people. I wouldn’t waste it on those young fools who go out in the cold to find a tree. Our recently mobile infant is like a bauble seeking rocket. My wife (an art teacher) spends not inconsiderable time making the tree an attractive living room feature. Currently, it looks like it’s been machine-gunned. Don’t worry. In a few years, you’ll be able to decorate the bottom of the tree again – unless there are younger siblings in the works. In that case, you could have a pants-less tree for time. I’m not sure how to keep the baubles on the tree, but to keep it from toppling just nail it to the floor. That’s my husband’s solution. Excellent advice! And inspirational too. It’s made me realize that all I need do is duct tape the ornaments to the tree. It’s the same in our house. Daddy puts up the Christmas tree and try and keep the kids away. It’s easier now. I just plug in the Playstation in a different room. Yes, I know this is a VERY late comment. I’m working my through my favourite blogs. I was on leave, you know. By now, I’d have thought that your kids would put up the tree for you. You need your rest. I’m having my own troubles keeping up with blogs, so I know what you’re talking about. off info in such an ideal approach of writing?